**Cannot be combined with other offers or promotions. 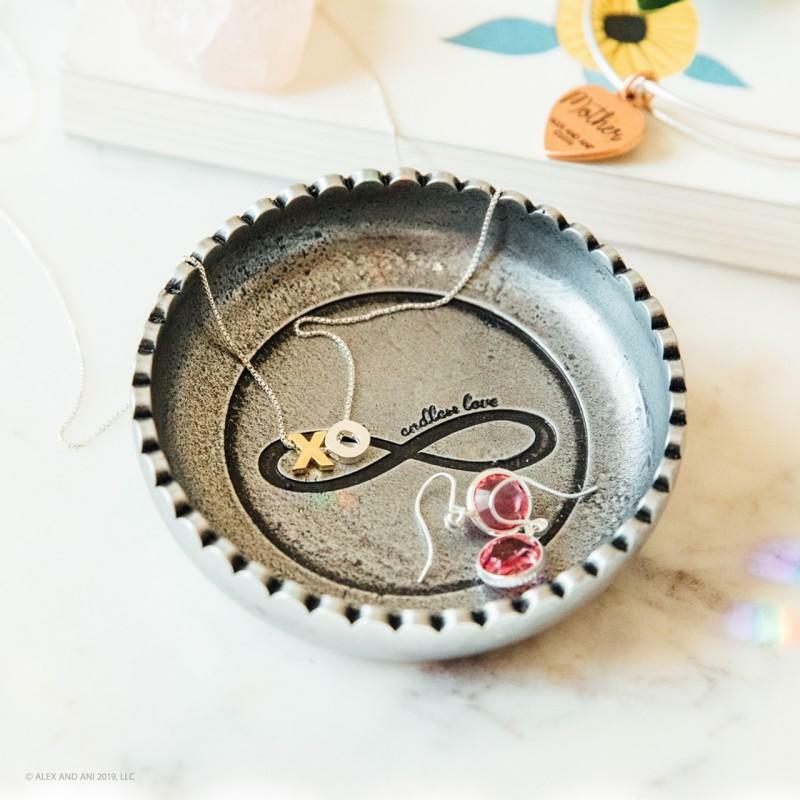 Receive a free ALEX AND ANI Jewelry Dish ($12 USD / $14.50 CAD value) with your $75+ USD or $95+ CAD ALEX AND ANI purchase, before tax or VAT. Offer valid 4/28/19 at 12:00AM ET through 11:59PM ET on 5/12/19, or while promotional quantities last. Valid at alexandani.com, ALEX AND ANI owned stores, and outlets. Qualifying purchase must equal $75+ USD, or $95+ CAD, after any applicable discounts have been applied. Corporate gifting orders, gift cards and E-gift cards do not qualify towards the threshold. In stock items only. One free Jewelry Dish per qualifying purchase, per customer. Order value must maintain a minimum of $75 USD or $95 CAD, or free gift must be returned or paid for. No cash value. Not for resale. No adjustments on previously made purchases. Promotion automatically applied at checkout; no code or coupon necessary. Void where prohibited by law. Promotional quantities limited. This offer is not available to ALEX AND ANI employees.